Looking for products with improved impact, modified release profile or safer, easier to handle, ingredients? Microencapsulation may hold the key. Spray drying or coating of ingredients may provide the solution. You may be looking for support at the development or production stage and CD R&D has a wealth of experience gained from working internationally with key players in food, agrochemical and pharmaceutical industries, and we have gained a depth of knowledge in applications ranging from the encapsulation of flavours to speciality chemicals. 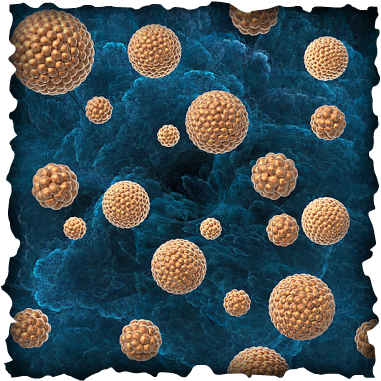 What is microencapsulation? Particles of less than 1 mm in diameter are produced, typically by coating your particles or droplets of interest, with a uniform and continuous film to modify their properties. A range of materials are suited for use as the capsule material including: lipids, wax, modified starch, cellulose, phospholipids, alginates and other natural biopolymers. By selecting the appropriate biopolymers and processes to produce an adequate polymer coating, we ensure that your ingredients are delivered effectively. The production of stable emulsions, dispersions, agglomerates or granules made with microencapsulated material enables the final product to be presented in a form that meets the demands of your applications. The use of micro-organisms as bio-capsules, as an alternative to traditional microencapsulation processes, was first considered in the 1970s. It was discovered that yeast cells (Saccharomyces cerevisiae), treated with a plasmolyser, could be used to encapsulate water soluble substances for use in medical, cosmetic and food products. Yeast also provides a water dispersible matrix as a complex delivery system for fat soluble materials, for example essential oils, flavours, biocides, fungicides and herbicides. This technology offers the potential of targeted release, flavour retention during high temperature processing and protection from evaporation of volatile components. ​For more information see "Yeast Biocapsules: More than just a carrier for food flavours"
Cyclodextrins also offer an alternative approach by protecting volatile or reactive ingredients by molecular inclusion. Cyclodextrins are cyclic oligosaccharides most commonly comprising a five to seven member ring, α-, β– and γ–cyclodextrin respectively. As they are polar on the external surface these molecules are relatively water soluble. They possess an inner apolar core which readily hosts non-polar functional groups or molecules such as fat soluble flavours, fragrances and active pharmaceutical ingredients for example. A wide range of tools are available to innovative formulators and we can supply the means to research, develop and produce prototype materials for trial and scale-up. You can download a white paper on microencapsulation here.